We’re going to see Batman on Powerless! Sort of. 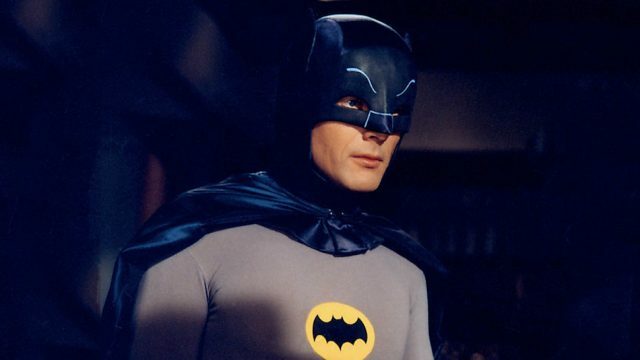 According to a press release from Warner Bros. Television, former television Batman himself, Adam West, will guest star in an upcoming episode of the NBC series. He’ll play the chairman of Wayne Industries, Dean West, who has some not-so-great news for Alan Tudyk‘s (Rogue One: A Star Wars Story) Van Wayne and Vanessa Hudgens‘ (Grease Live!) Emily Locke. Gotham comes to Charm City when the iconic Adam West, who played the role of Batman on television in the Sixties, guest stars in an upcoming episode of Powerless as Dean West, chairman of Wayne Industries. Following an attack on Gotham City, Wayne Industries has to make some cuts and Mr. West visits Charm City to deliver the bad news to Van and Emily. Will the dynamic duo of Van and Emily be able to save the team at Wayne Security, or are our Charm City Heroes destined for the unemployment line? The show is a comedy set in the DC Comics universe, in a place called Charm City. Emily Locke has just gotten her dream job as Director of Research and Development for Wayne Security. Yes, that Wayne. In a city where superheroes and super villains battle it out on a regular basis, Wayne Security attempts to come up with products to help regular citizens keep from becoming collateral damage. 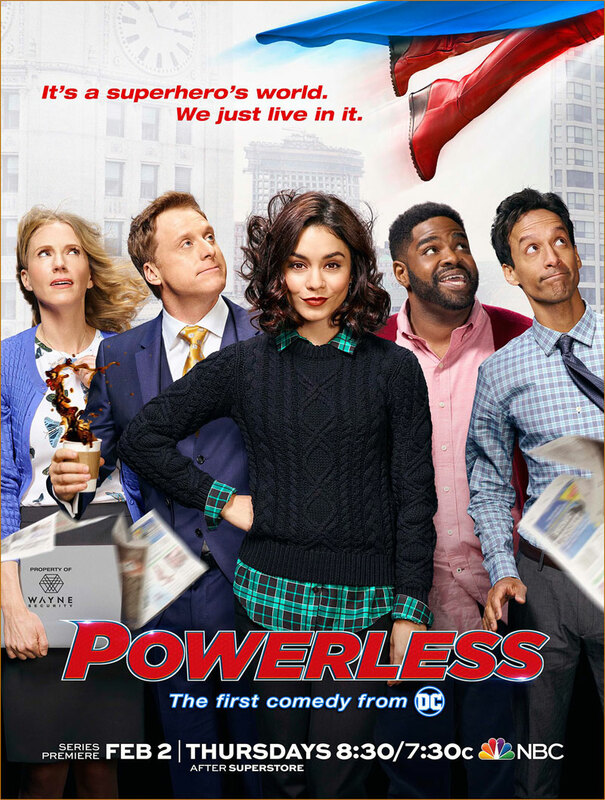 Powerless also stars Danny Pudi (Community, Captain America: The Winter Soldier), Ron Funches (Trolls, Get Hard) and Christina Kirk (Along Came Polly, A – Z). Are you guys watching the show? Are you excited to see Batman on Powerless? Let us know in the comments or tweet us @ComingSoonnet.